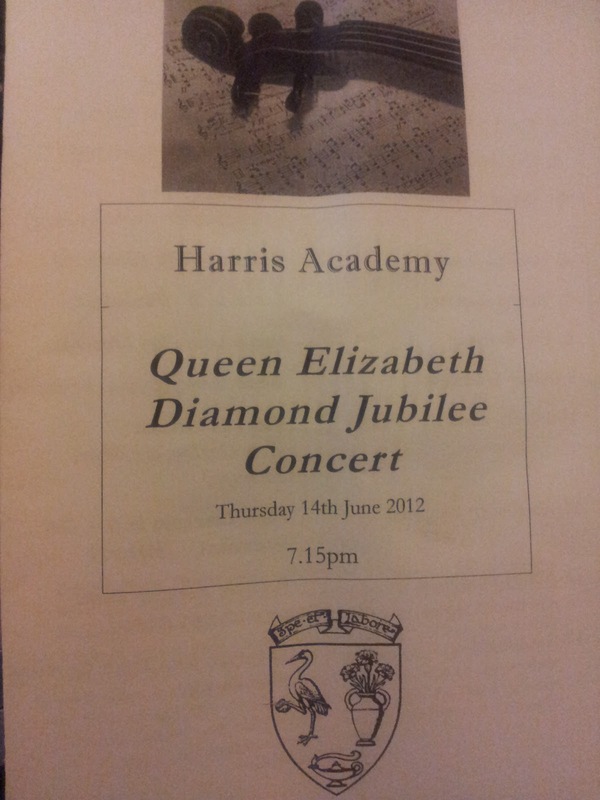 On Thursday evening I was really pleased to attend a concert at Dundee West Church given by Harris Academy pupils. 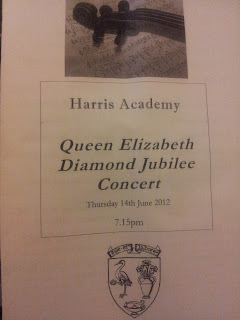 The concert was in honour of the Queen's Diamond Jubilee, this was also part of Dundee West Church's Summer Festival. The standard of performance was excellent throughout the programme. It was a real tribute to the young people and their teachers. It was good to see so many local people supporting this concert. I was really pleased to meet Tom Morton, from Radio Scotland, today. He is cycling from the Mull of Galloway to Muckle Flugga rock in the Shetlands and is using his 'Fairly Long Cycle' to promote fairtrade and the work of the Scottish Fair Trade Forum. You can watch the video to see what Tom thinks about his journey. As the Convener of the Fairtrade Forum I was pleased to meet Tom and hear about his journey so far throughout Scotland. Tom is trying to promote Scotland's campaign to become a Fairtrade Nation and it will be a great achievement if it comes off. I would like to wish Tom all the best for the rest of his journey. On Wednesday afternoon I attended the first meeting of the Scrutiny Committee since the election. Effective scrutiny of the work of the council is very important to the work of the council, it is disappointing that not all officers of the council agree with this. I was interested in the report on SS Peter & Paul's Primary School, the report shows real improvement. There were a couple of interesting reports from Audit Scotland. I think that councillors (and officers) should pay attention to these. These reports call for greater openness and the inclusion of communities in discussions about the budget process. It is difficult to see how the secretive 'Changing for the Future' Board would meet these criteria. There was a lot of talk about the shared services agenda and I made my views clear that I think not enough attention is paid to scrutiny. There must be effective scrutiny of how the public pound is spent and how public services are delivered. We should not be promoting more shared services unless and until there are effective scrutiny measures in place. I was really pleased to join some 26,000 others to celebrate the Olympic Torch coming to Dundee. I started off in the City Square where my daughter and her gymnastics club were performing a display. Unfortunately, this was somewhat curtailed by adverse weather, thankfully though the rain mostly stayed away from Baxter Park. It was great to see so many people at Baxter Park. There was a real sense of community. It was clear that many many people are excited about the prospect of the Olympic Games coming to this country. The entertainment in Baxter Park was good and Emeli Sande certainly went down well with everyone around me. I am looking forward to the Olympic Games and it was great to see the Olympic flame here in Dundee tonight. It was certainly an historic event for the city. It will be a long time before the Olympic Games come to the UK again. I was at the Civic Reception after the event and it was great to speak to Kian who lit the Olympic cauldron in Baxter Park as well as Ronnie McIntosh, who is a double amputee, and who also carried the torch, what a great day for them and for everyone who carried the torch today. I would like to pay tribute to everyone who made today's events happen. The City Council did a lot to make these events happen and it was good to see the public sector delivering a great event for the people of Dundee. At lunchtime today I attended a meeting of the support group at Jericho House. 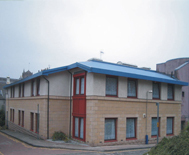 Jericho House provides a much needed service to those who have a problem with addiction to alcohol. I am happy to support them in their good work. The so-called welfare reforms being implemented by the Conservative - Liberal Democrat Government may impact on Jericho House. It was good to hear about the good work being done by the house for their residents and in the community. Monday evening saw the City Council get back down to business with the first set of committee meetings since the election. I am pleased to say that Labour as the main opposition party will continue to scrutinise the work of the council and always work in the best interests of the city and the people of Dundee. As Labour's Environment spokesperson at the Environment Committee I welcomed the new Convener, Councillor Craig Melville, to his new post and wished him all the best in his new role. I asked about investigations into contaminated land, how areas were identified and what happens if problems were uncovered. I was somewhat reassured by the answers I received, council officers examine areas of concern and prioritise areas and the responsibility for dealing with problems lies with those who own the land. In the Environment Department's Service Plan Review reference is made that the Department will 'Examine the frequencies of all waste collections to deliver maximum recycling.' I sought a reassurance that there would be no move towards reducing grey bin - general waste collections. I was told that there are 'no immediate plans' to reduce grey bin collections. I was glad to hear this because I just do not think that recycling has reached the level that we can reduce grey bin collections in the city. This is especially true in the West End with the high level of tenement properties where recycling is difficult. I was pleased to see that the Policy and Resources Committee agreed to look at ways of delivering a long-term and sustainable use for Camperdown House. These proposals will include looking at Camperdown House becoming a fine dining hotel, a boutique hotel, commercial gallery or a function venue. It is important that the people of Dundee make their views known about the future of the House. As a councillor and as part of the council I am merely a custodian of Camperdown House on behalf of the people of Dundee. From the report I noted that both the National Museum of Scotland and the National Gallery of Scotland are home to artefacts connected with Camperdown House. In Dundee we can see the benefits of a national institution working with the council and the city in the case of the Victoria & Albert Museum. If a British institution like the V & A can do this I would hope that Scottish institutions would realise that Scotland extends beyond Edinburgh and that both the National Gallery and the National Museum might work with the city to allow plans for Camperdown House to progress. I would be very interested to hear the views of local residents about the future of Camperdown House. I am really pleased to have been re-appointed to the Tayside Fire and Rescue Board after the recent election. The first meeting of the new board took place in Forfar on Monday, you can see the agenda here. Although it is likely that Tayside Fire and Rescue will cease to exist in a year's time it is important that a priority is given to the work of the Fire and Rescue service in Tayside until then. The public need to receive a service until the new national fire and rescue service comes into existence. I made the point at the meeting that it is important that the new service continues to promote engagement with the local community. I was delighted to attend the Big Sunday events on Magdalen Green as part of WestFest on Sunday. 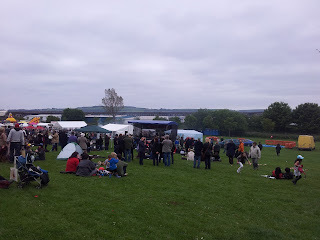 It was great to see so many people having a good time on the Green. I took part in the world record attempt for the biggest piggyback race along with my daughter, Marianne. It was great fun even if we didn't break the world record. I was also pleased to visit the garden at McIntosh Patrick's old house on Magdalen Green thanks to the current owner, Elaine Kuwahara. It was really good to see this lovely garden in the middle of the city. This garden was open as part of the Scotland's Gardens scheme with donations going to charity. As part of WestFest I was pleased to help my colleague Jenny Marra MSP collect signatures for the campaign to bring the National Football Academy to Dundee at WestFest. It is clear that people in Dundee think that this is a great idea and I hope that the Scottish Government will soon deliver this for Dundee. Everyone involved in organising WestFest deserves the thanks of the people of the West End. There's a lot of events taking place over the next week I hope that they are well supported. Once again well done to everyone who organised the event and also to those who supported the event.